One of my coworkers is a total foodie, so I often find myself gabbing with him about food and cooking. Yesterday, he mentioned this recipe to me, and I instantly wanted to try it out. 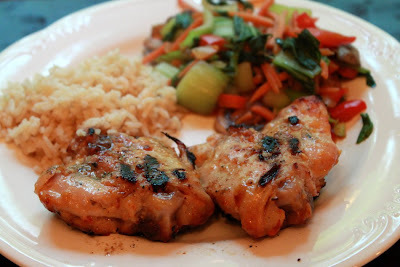 I've been needing a good Asian-style way to cook chicken, and this totally fit the bill. It's super quick to whip up, and only takes about 15 minutes to cook, start to finish. The one potentially intimidating ingredient is miso paste. I'd never even seen miso paste, let alone buy it. There were 6 different kinds at my local Whole Foods...want to know how I chose this one? It had a recipe for Miso Soup on the container, so I figured it was a good choice :) Ha! Bo and I loved this recipe. 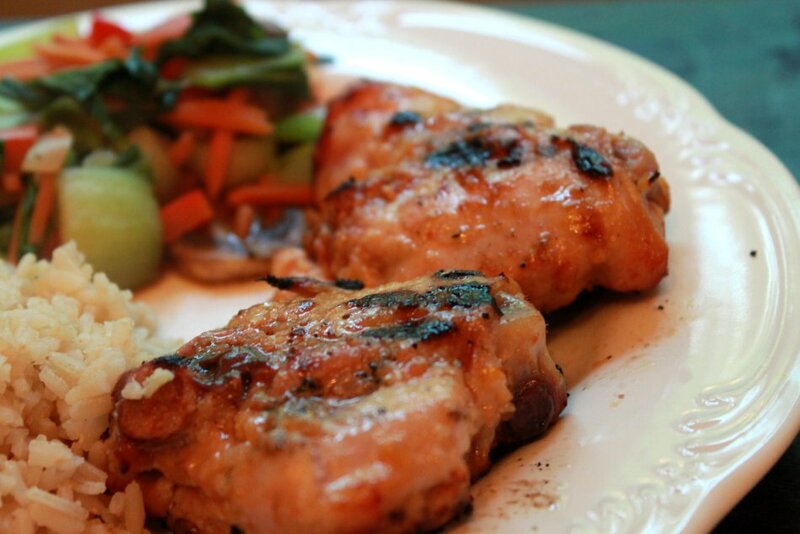 You'll notice that we used chicken thighs and cooked them on the grill. Don't do what we did. Follow the recipe, and use chicken breasts cooked in a skillet. The grill overpowered the mild miso flavor; it will stand out more if cooked in a skillet. We rate this recipe a 4 Spoons as we cooked it, but we think it'd be an easy 5 spoons if it were cooked as directed in the original recipe. Thanks for the recipe, Ray Ray! Flatten the chicken breasts with a mallet to about 1/2" thick, and place into a shallow dish. 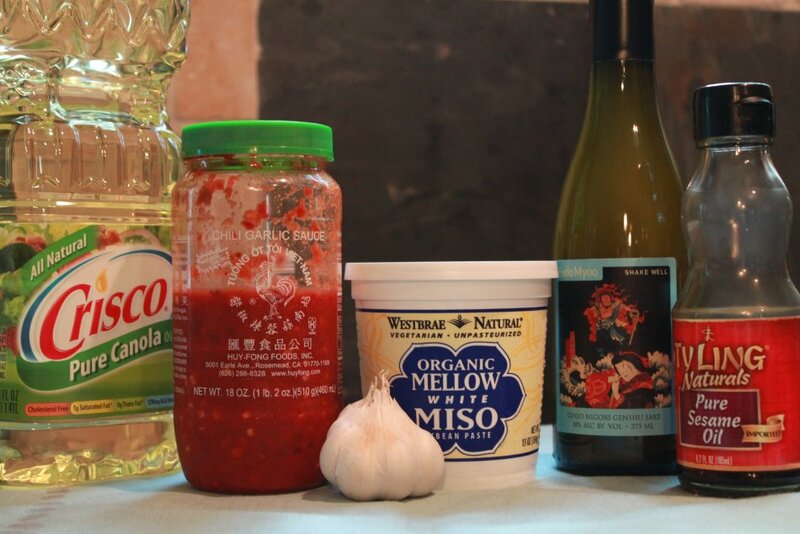 In a separate bowl, mix all marinade ingredients. 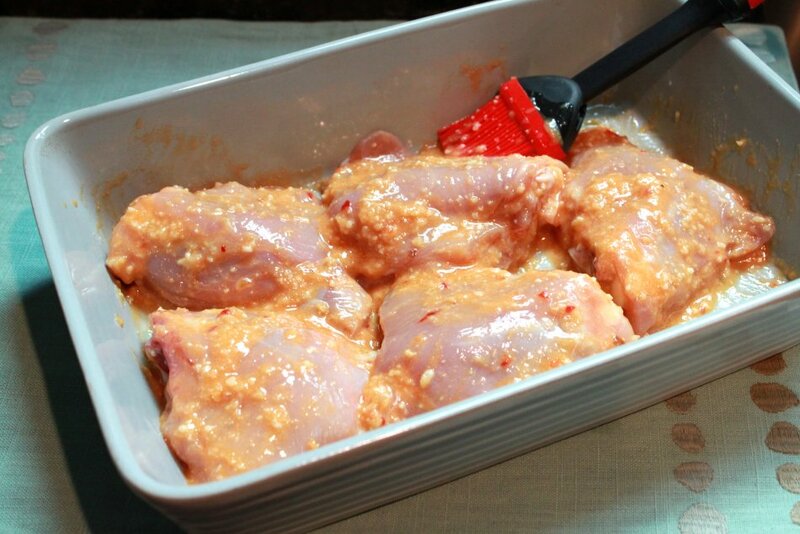 Coat the chicken breasts with the sauce and cover to marinate overnight or all day. Heat canola oil in a skillet over medium-high heat. Add chicken and cook until no longer pink, about 3-4 minutes per side. * Note 1: The original recipe uses red pepper flakes, but as you've noticed by now, we love using chili paste anywhere that calls for heat. ** Note 2: The original recipe calls for water, but why not use this as an opportunity to add some flavor? If you're opposed to sake, you might try chicken broth or soy sauce. p.s. Happy Birthday to Brandy (aka Royal Family)!!! 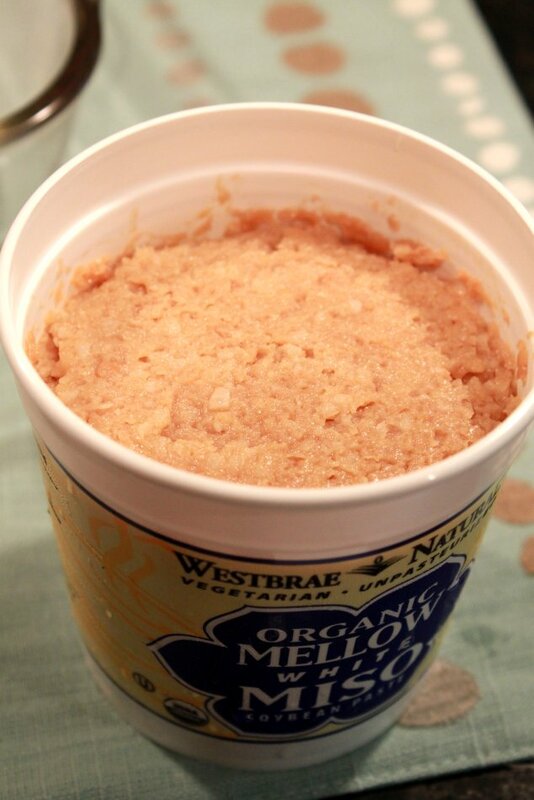 I haven't used Miso Paste in a few years. I'll have to revisit it! What was your delicious looking side dish? That colorful side is veggies (bok choy, carrots, mushrooms, onions, and bell pepper) stir fried with sesame oil, fish sauce, oyster sauce, and chili paste. Yum! sorry just can't even imagine this being good HATE miso soup! :( blah! but i'm glad you loved it and it's healthy!!! Thanks for the birthday shout out! @Brandy, I used to hate miso too! I have no idea why or how I like it now!